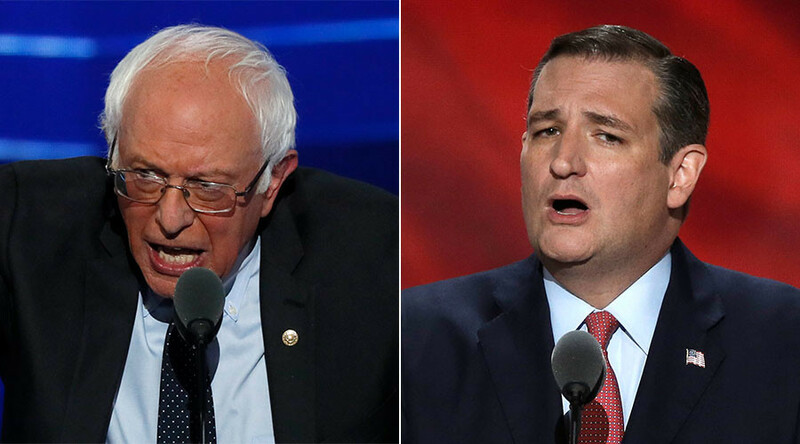 Senators Ted Cruz and Bernie Sanders debated the merits of Obamacare, whether healthcare is a right or is something the government should leave alone, and the extent to which Washington smells like a dairy farm. The ideological titans of DC, who ran on opposite sides of the spectrum in the 2016 presidential election, went head to head at a CNN town hall debate to discuss the future of healthcare in America. 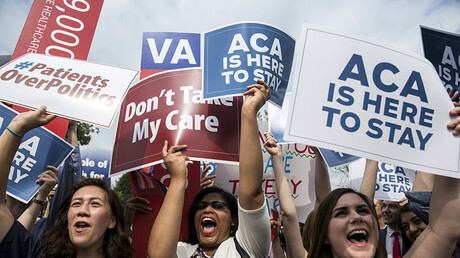 Ted Cruz, Republican Senator from Texas, argued that Obamacare failed the American people, while Sanders said that it was a step in the right direction. “Bernie and the Democrats want government to control healthcare. I trust you, and I trust your doctors,” Cruz remarked, outlining his view of the fundamental differences in their approaches. Bernie Sanders, Independent Senator from Vermont, argued that big insurance companies were the problem, and that the only way Americans with pre-existing conditions can get affordable health insurance is through government programs. “Ted thinks that’s a terrible government intrusion, I think it is the moral and right thing to do,” Sanders said. When Cruz was asked about pre-existing conditions from a member of the audience who said that Obamacare saved her life, he suggested a replacement what would deny insurance companies the ability to kick people off their plan for pre-existing conditions. Cruz insisted that the healthcare systems in Canada and the United Kingdom are not better than the American system, and warned against America going in that direction. “There’s a reason we pay more, we get a lot more, and a lot better healthcare,” Cruz said. Cruz argued that Obamacare kills jobs, and told the story of a dairy farmer, joking that the smell “kind of reminds me of Washington,” who could have hired 20 to 30 more people, but Obamacare would have bankrupted him. Sanders cited the fact that premiums went up even higher during the Bush administration, and there are fewer part-time employees than there were before Obamacare. Cruz then argued that when the government runs health insurance, they ration care. “Whenever you put government in charge of healthcare, they ration. They decide if you get health care or if you don’t,” Cruz argued, citing 3.7 million people in the UK on a waiting list for health care. Sanders said that tens of thousands of Americans die from not being able to afford health insurance. When Sanders asked Cruz if he believes healthcare is a right, Cruz defined ‘rights’ as freedom from the government, and said that Sanders was denying rights by mandating healthcare to all Americans. “You’re getting less coverage, you’re paying more for it, and your deductibles are higher,” Cruz said. “Let’s get rid of insurance companies, and [have] Medicare for all,” Sanders said. Cruz opposed the idea, saying that “Medicaid isn’t working for millions of people.” Instead, he offered alternative plans, including allowing Americans to purchase insurance across state lines, expanding the health saving accounts, and making health insurance portable. Cruz laid out a mobile health insurance plan that would allow people to keep their health insurance after they lose their jobs. “When you lose your job, you don’t lose your car insurance or life insurance,” Cruz argued. Cruz also called for ending the FDA, arguing that it takes $2 billion to approve a new drug, and called for a system in which the FDA has 30 days to approve a drug that has already been approved in another major country. “That’s a solution that empowers the people,” Cruz said. Sanders explained that Texas, the state Cruz represents, has the highest percentage of uninsured people in the US, and that repealing Obamacare would only remove protections for people. “Under Ted’s idea all of that is gone, you are on your own,” Sanders said.